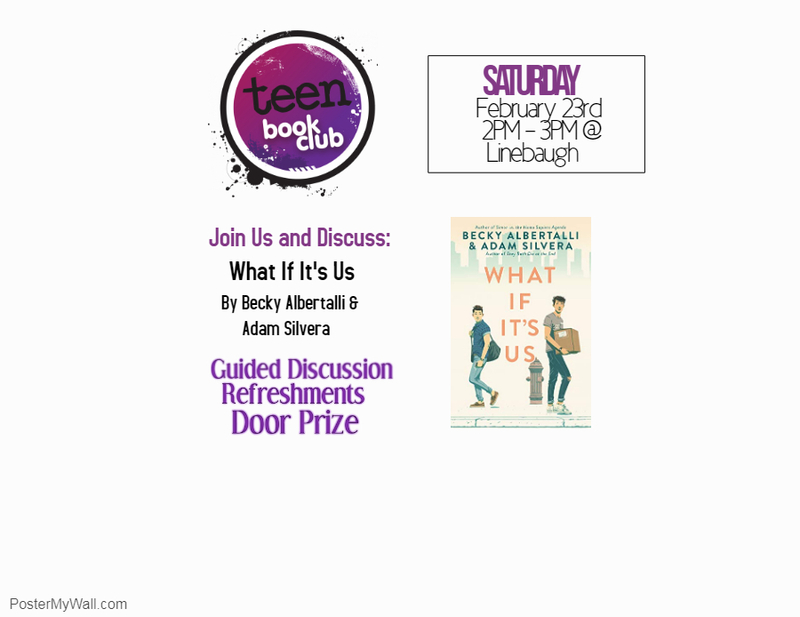 Join us as we discuss What If It's Us by Becky Albertalli and Adam Silvera. There will be a guided discussion, refreshments, and a door prize. All lovers of the YA genre are welcome.